Books on nature in the Philippines are often difficult to find. In many Philippine book shops, you will be hard pressed to find a section on nature. This is a sad thing, as the Philippines has a lot of nature that is worth preserving. However, how can you teach people to preserve something when they don't even know of its existence. We therefore want to promote Philippine books on nature in the widest sense of the world. Published by British photographer Nigel Hicks is a very attractive books on the Philippines of the coffee table guide (part of a series, that also cover other South Asian countries). Richly illustrated, The National Parks and other Wild Places of The Philippines, is about 30 cm tall. Its 175 pages showcase the high-lights of Philippine Nature. 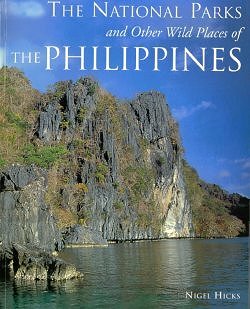 The book covers 34 destinations in the entire Philippines, with highlights such as the Apo Reef (in Negros Oriental), Mount Apo (in Mindano), and a number of destinations in Palawan. For Bohol the Rajah Sikatuna National Park and Balicasag Island Marine Reserve are described. Complete with maps and notes for visitors, this is a very valuable book to have, and to show to friends looking for a travel destination. Published by New Holland Publishers, 175 pages, ISBN-13: 978-1859741948. Very important to instill a love for nature are relatively inexpensive books that help you to determine what you see. 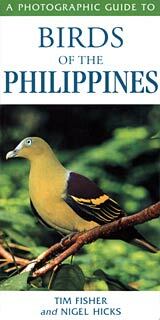 Birds of the Philippines, by Tim Fisher and Nigel Hicks falls into that category. It handy size allows you to bring it along during a field trip, and clear photographs are a great aid in determining what bird you're facing. Published by New Holland Publishers, 144 pages, ISBN: 1 85974 510-5. 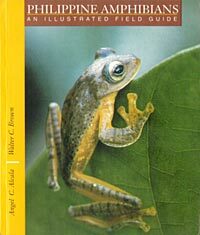 In the same category is Philippine Amphibians: An Illustrated Field Guide by Angel Alcala and Walter C Brown. This guide describes more than 80 species of Philippine amphibians illustrated with color photographs. Focuses on their diagnostic features as well as distinctive aspects of their natural history. Published by Bookmark in 1998, ISBN: 9715693148. A First Look at Philippine Birds. 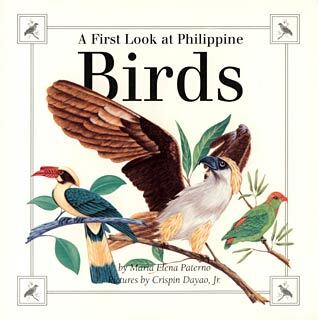 For children, there is a cute little book, A First Look at Philippine Birds by Maria Elena Paterno, and colored illustrations by Crispin Dayao Jr. Describing ten birds, and explaining a little about birds, this is a welcome introduction to birds for children between 4 and 12. Expensive, and probably hard to obtain nowadays is Shells of the Philippines, by F.J. Springsteen and F.M. Leobrera is the first book of its kind devoted entirely to the identification of mollusks occurring within the Philippines. This comprehensive guide can help to identify all shells likely to be encountered in a trip to the islands. Over 1.600 species are illustrated in 100 fill color plates, and coverage includes the Gastropoda, the Bivalvia, the Scaphopoda and the Cephalopoda. In addition, four plates are devoted to land snails and fresh water gastropods, covering two groups, some briefly, others in more detail. All species are annotated with the currently accepted scientific name (including author and date), a concise description, and a distribution profile within the Philippines. Many illustrated species are as yet unnamed by science, and still others have never before been illustrated in any identification guide. At the end of some family groups, additional notes are presented which attempt to clarify certain problematical species. Although being a magnificent piece of work, it still very traditional in one sense: it shows only the shells as collected. Not a single photo shows the animals, alive and in their full beauty in their own underwater habitat. The shells, nothing more than a skeleton, often just hint of this original beauty. A few copies may still be available at some online stores, however, last time I looked they where priced over USD 285/PHP 13,000. 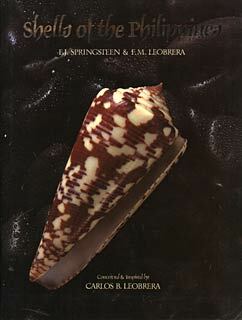 Published by the Carfel Seashell Museum in 1986, 377 pages, ISBN-13: 978-9719102908. Tropical Seashells of the Philippines. Much cheaper, but by far not as extensive is the small Periplus Tropical Seashells of the Philippines (Note that exactly the same book is sold under different titles in various South East Asian countries). This gives you a broad overview of the types of shells you are likely to encounter on a beach (or in the baskets of shell vendors that approach you). The links in this article lead to Open Library, which in turn will point you to various on-line bookshops, however, for Philippine residents, some of the books may also be more easily available at the National Book Store, which has outlets throughout the country (In Bohol in the Island City Mall). Mr. Crispin Dayao Jr. please contact me. I wrote a children's book with a Philippines setting and I want to talk to you about illustrating it for me. 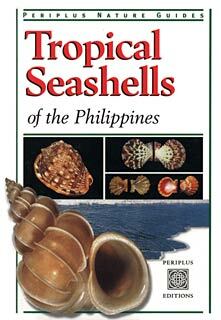 I want to buy Philippine shells book guide can you provide me,how? My comment is that: very interesting and useful for foreign travelers in the Philippine Islands. your comments on "Nature Books on the Philippines"